Femman har hemmahamn i Stockholm (Mälaren) och hittas ofta kryssande genom Stockholms Skärgård på somrarna. Vanliga kölen och hög rigg. Hette tidigare Maja Gräddnos. Förlorar alltid mot SWE31 i klubbkappen. would be great to have some input from your site, looks like all the Wasas are gathered here! First of all: my engine: still got the old Volvo MB2A, on the saildrive. any spareparts still kicking around? deckslayout with respect to winch positions for racing and ratios needed on backstay tension. thinking of x79 set-up…? 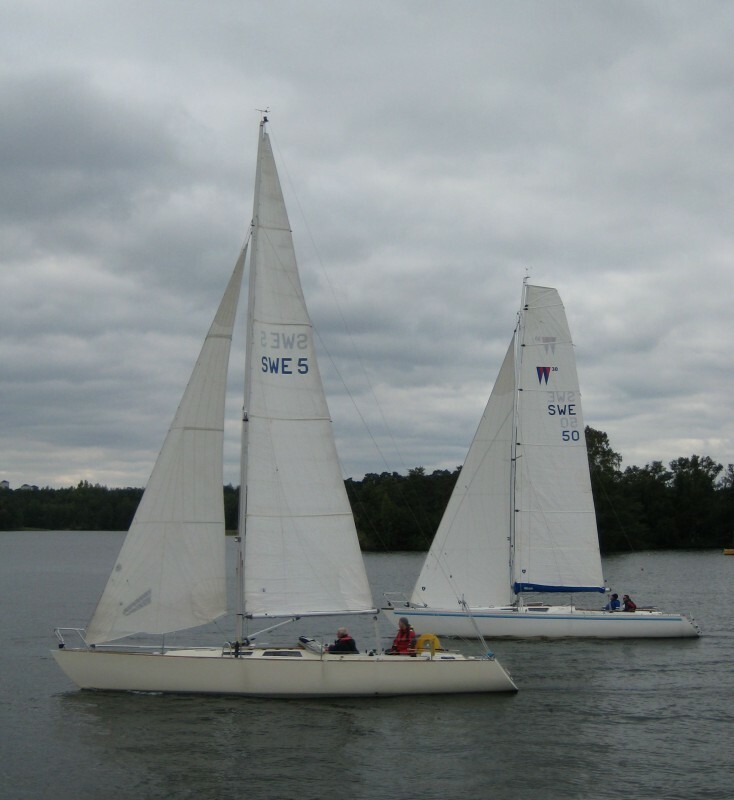 We’ve had our boat since 2008 and during the years we’ve gathered info on some of the Wasa 30 fleet. Will try to populate this site with our all our notes on Wasa 30s during the spring. 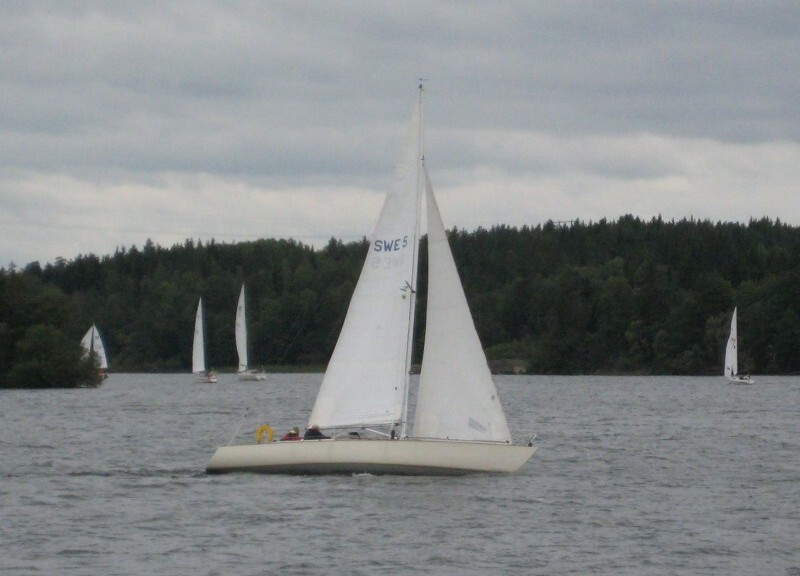 As for spare parts to the MB2 – I suggest you contact Per Hagström at http://www.saildrive.se/. The most common keel is the deep lead one (~1.80 meters). A few boats got a more shallow iron keel (~1.60 meters). The iron keel weighs 250 kg more than the lead variant and somewhat different design. It has greater keel cord and hence significantly more wet area. Still, I’d guess that the righting moment (RM) on these boats still are a bit lower than on the lead keeled boats. Have only sailed against a boat with shallow keel on a few occasions but the feeling was indeed that it not was capable to carry the same sail area as ours. The lead keel is constructed with a steel box (thickness ~6 mm) on top and a lead part bolted to the steel box. The box is most likely foam filled but some builders left their empty with a drainage/inspection hole drilled besides the keel bolts. 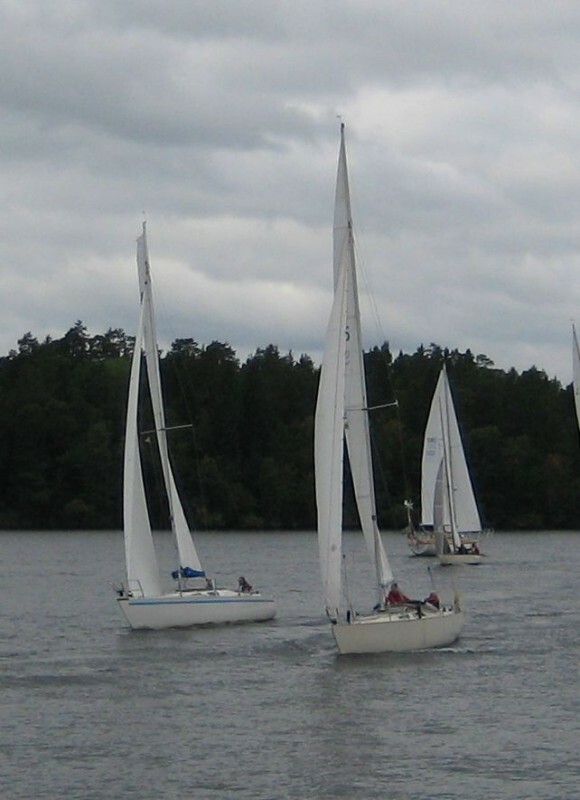 If you knock on the upper part of the keel you will clearly hear if it’s empty or not. As for deck layout and more specifically winches, a standard setup is 3 pair of winches. Harken 32 / Andersen 28 winches should be sufficient both for 3:1 running backstays, jib sheets and spinnaker sheets/guys. Halyard winches one or two sizes smaller. On SWE31 we’ve upgraded halyard winches from Andersen 10 to Harken 20 and the forward sheet winches to Harken 40.2. The aft winch pair will remain Andersen 28. We will surely not be underpowered this season! I plan to describe our deck layout a bit mor in detail in a post or two during the spring. I have the same engine as you (Volvo Penta MB2 50S) in one of my two Wasa 30s. Last spring when the boat was ready to get into the sea I found the engine oil to be mixed with water. As Volvo does not have spare parts any more, I found and bought three(!) used engines in various states of breakdown. From these I managed to construct a working engine. Some gaskets and o-rings are still available from marineparts (www.marinepartseurope.com). Otherwise drop me a mail if you have trouble finding parts. I might be able to supply some used ones.